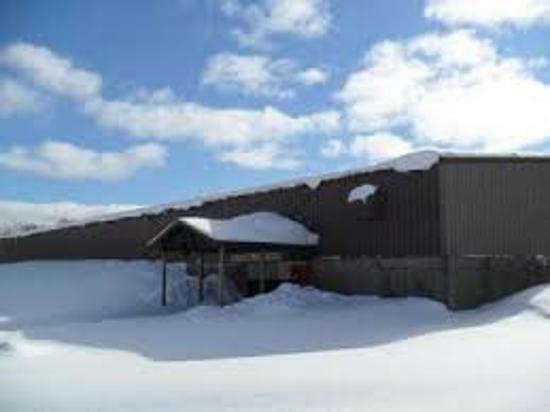 Ironwood Polar Bear Hockey has home games in the Pat O'Donnell Civic Center in Ironwood, Michigan. The rink is located next to the campus of Gogebic Community College. It shares a parking lot with the Mt. Zion ski hill. From the East: Follow West US-2 through Wakefield, Bessemer, and into Ironwood. As you enter Ironwood city limits, you will go straight through two stop lights. At the 3rd stop light (next to Holiday Gas Station) turn right (north) onto Lake Road. Follow Lake road to blinking yellow light and turn left (west) onto Jackson Rd. Follow Jackson Road to the GCC campus. Turn right (north) into the campus parking lot. Drive through the first parking lot past the GCC buildings. The arena is the building farthest to the right. The parking lot is shared with Mt. Zion Ski hill. From the West: Follow East US-2 into Ironwood. Proceed to the 2nd traffic light (N. Lake St.). As you enter Ironwood city limits, you will go straight through first stop lights. At the 2nd stop light (next to Holiday Gas Station) turn left (north) onto Lake Road. Follow Lake road to blinking yellow light and turn left (west) onto Jackson Rd. Follow Jackson Road to the GCC campus. Turn right (north) into the campus parking lot. Drive through the first parking lot past the GCC buildings. The arena is the building farthest to the right. The parking lot is shared with Mt. Zion Ski hill.